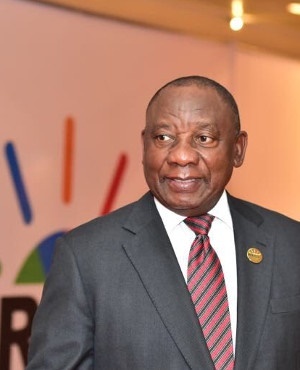 President Cyril Ramaphosa on Thursday delivered an address at a meeting of the heads of state of the five Brics nations during the 10th annual Brics Summit taking place in Sandton, Johannebsurg. Quantum leaps in technology and innovation present enormous opportunities for growth, development and human progress. This surge in innovation has the potential to dramatically improve productivity and to place entire countries on a new trajectory of prosperity. It could also create new faultlines in our societies. This places a great responsibility on all of us. We proceed from the understanding that this is not simply a digital revolution, but a fundamental shift in the way people live, work and relate. It is a phenomenon that cuts across all industries and technologies. This means that our response needs to be comprehensive and integrated. As Brics countries, we should not become mere adopters of new technologies. Rather, we need to combine our resources and expertise to become innovators. We should not allow technology to shape our societies. We must instead ensure that the needs of our societies shape the technologies that we develop. We must ensure that mastery of the 4th Industrial Revolution does not become the exclusive preserve of just a handful of countries. It demonstrates that, properly harnessed, new technologies can ensure more efficient processes and more reliable systems of service delivery. They can expand economic participation by ensuring that knowledge and information is more broadly disseminated across the population. To succeed, however, we need to equip our people with the necessary skills to thrive in such a society and in such an economy. There is a need to develop more agile and applied education models. While this must start even before a child enters primary school and continue right through to our universities and colleges, there is an urgent need in developing and emerging economies to re-skill a significant portion of the current workforce. Governments should formulate and institute policies that are supportive of these processes. Such policies should provide a favourable environment for foreign investment in the development of new sectors and technologies. Such investment improves the supply of relevant skills, expands the capacity for research and development, and contributes to an environment that nurtures innovation. It is against this backdrop that Brics Ministers of Industry resolved to establish the BRICS Partnership on the New Industrial Revolution. It aims to translate the vision of the second decade of BRICS cooperation into reality through deepened cooperation on industrialisation, innovation, inclusiveness and investment. As we enter the second Golden Decade of Brics, we need to look to the future and place ourselves at the forefront of the extraordinary changes that are taking place. In conclusion, our officials must engage in robust discussions to develop concrete actions.